Don’t Forget About Plumbing Maintenance! Regular service and maintenance of your plumbing equipment and fixtures can save you hundreds of dollars in unexpected repairs and utility costs. Meet Daniel DeLeon. 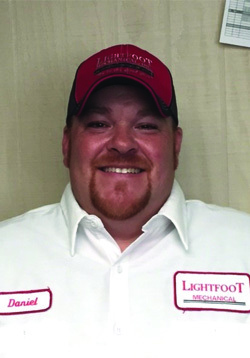 Daniel is a master plumber with deep roots in our area and also in the plumbing profession. Here’s more about Daniel in his own words.